There are incredible installations in every corner of the city, exclusive parties and events! 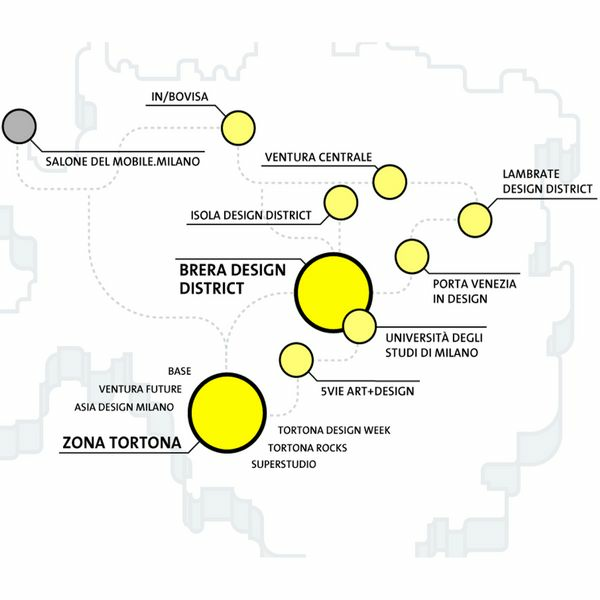 Don't miss this Fuorisalone 2019! Here some of wonderful installations to visit! Among the numerous projects of the "Master of the Italian Renaissance", his studies on water are the purest testimony of his fascination with this element: for the Salone del Mobile this immersive installation, an architectural insert in the form of a great expanse of water, will revive the surface of the Conca. Don’t miss to immerse yourself in this fantastic experience! "The circular Garden": the installation, in full harmony with the natural charm of the Botanical Garden of Brera, develops the theme of the circular economy through the recycling and reuse of raw materials. For the 50th Anniversary of the iconic armchair UP5&6 produced by B&B, the Master Giovanni Pesce has created an installation 8 mt high inspired by his historic armchair, as a metaphor of women's condition. To commemorate the five hundredth anniversary since the death of Leonardo Da Vinci, the bronze statue of Leonardo’s Horse on show at the Snai San Siro racecourse will take centre stage in an important development project. The Leonardo Horse Project; thirteen Design Horses will be unveiled at an opening party which will be held around the horse statute at the entrance to the racecourse park. Everything here turns into an amazing urban garden: a charming oasis made of green settings and outdoor solutions, for a chic-style relaxation in the center, where nature, design and beauty offer unique views. The historical cloisters in Piazza San Marco are transformed into a gallery of ideas and art & craft solutions. Furniture, artworks and products praise the ability – Able to – to be creative. A land created by Eataly Smeraldo and the Slow Food Foundation for biodiversity and offers the city a meadow of flowers and plants that protects biodiversity and bees following the evolution of spring. The installation is a container in which shapes and colors take inspiration from Miami and the 90s, with fluorescent colors and a tropical vibe! All designed for visitors engagement and sharing on social media: guests can take photos, receive them via e-mail via a sharing tablet and collect them printed in real time. Extraordinary installation of Qeeboo. Run to discover the wonderful Qeeboo world. Buildings strip and always reveal something hidden. The artist, an urban illusionist, alters the perception of reality: everything for him can be transformed, creating a deception of the flexibility of materials, which normally do not bend.